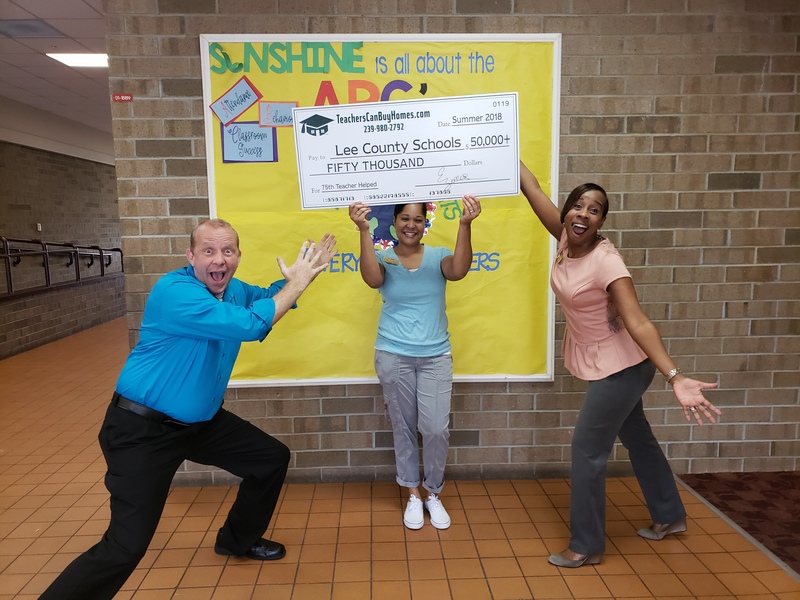 Now, more than $60,000 Donated To Lee Schools! Register For FREE: Join our Principal Initiative program funded in your name and have your school qualify for a DOUBLE donation! 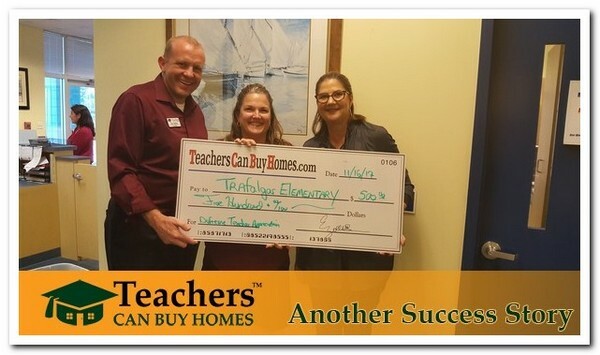 We will fund a special program in YOUR NAME when you register your school as a "Teachers Can Buy Homes Five Star School"
First donation is DOUBLED when you register before March 31, 2019! 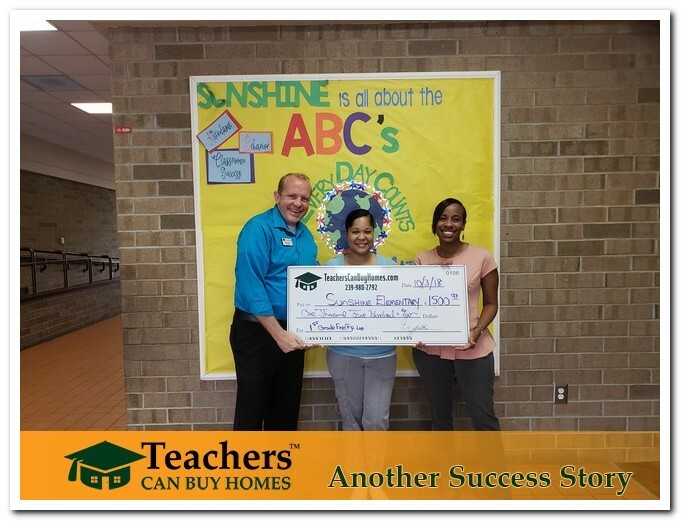 Receive an additional $100 donation In YOUR NAME for life when ever a teacher buys or sells a home! We value your privacy and would never spam you. Registration is 100% FREE! 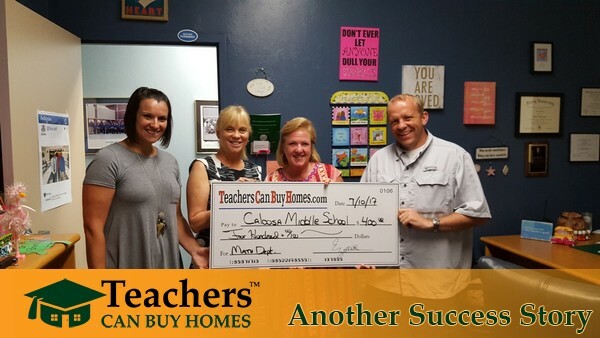 $100 Bonus Dollars are awarded to your personal initiative each time one of your teachers buys or sells a home. As a special Five Star School your school will qualify for Double Dollars! The first purchase or sale donation is automatically DOUBLED! Five Star Schools can allow administrators and school personnel to qualify for the program, not just teachers! ...Your gift will be placed in our Student Support fund which aids students and families in need! ...Thank you for the donation to our ESE Department! Our teachers & our students are very grateful for your support! 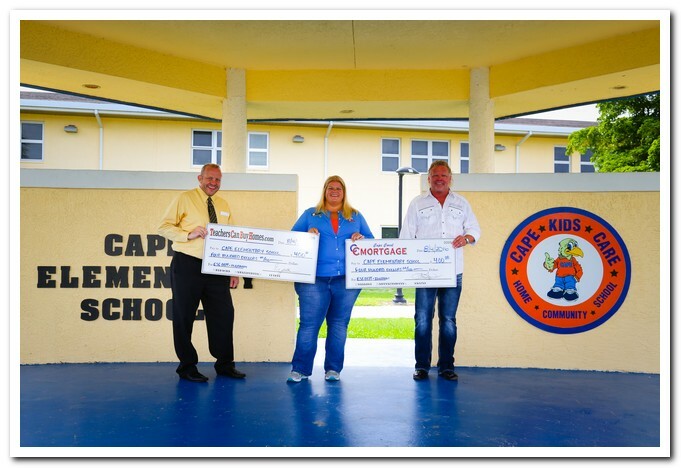 ...Your involvement in our school and the Cape Coral Community truly exemplifies that it does take a community to raise our children! "What an Amazing opportunity to support education with both our faculty and students!" 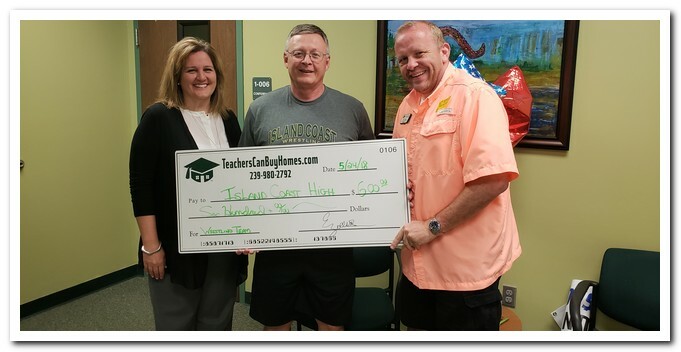 Your very generous donation has helped our staff members stay in Lee, and also helped support our school...It will be used to fund our teacher/staff Sunshine Fund"